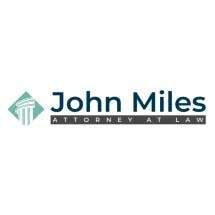 Since 1988, John Miles Attorney at Law has offered dedicated criminal defense to people in the Union City area in Tennessee and throughout Obion County. He recognizes the challenges people may face when dealing with criminal charges and the potential lasting implications of their arrests. Serving as an effective advocate, Mr. Miles' law office strives to help his clients secure the best possible outcomes to their cases. During your initial consultation, he listens to people and discusses the details of their cases. Offering focused insight and counsel, Mr. Miles works closely with his clients and stands by their side throughout every phase of the criminal process, from arraignment to preliminary hearings and through appeals. Over the years, Mr. Miles has successfully obtained full dismissals and pleaded down charges on behalf of his clients. Mr. Miles takes thorough approach to the preparation of each case he handles, and he is prepared to go to court to defend his clients' rights and freedoms when necessary. The law office places an emphasis on communication, and Mr. Miles keeps people informed of their options and the status of their cases throughout the legal process. In addition to helping those who are facing criminal charges, John Miles Attorney at Law can assist people with a range of other complex legal issues. These include those involving family law and mediation, personal injury, contract disputes, will contests, probate, property rights and other general civil litigation-related matters. For the convenience of those he represents, Mr. Miles' law office accepts credit cards. Free initial consultations are offered for Personal Injury cases.